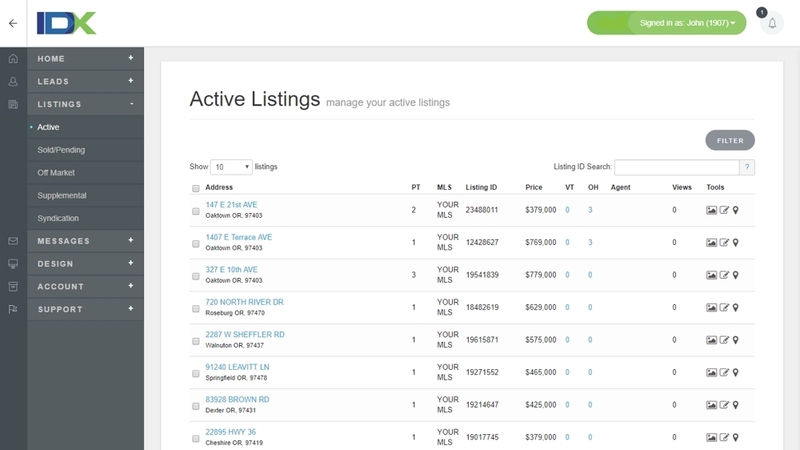 Use the IDX Broker Featured Listing pages to edit your Active, Sold/Pending, and Off-Market listing information in real-time! NEW! If your MLS provides Sold data AND we have mapped that data, IDX Broker will automatically update the status of your Featured Sold or Pending listings. Edit core field values (such as status, price, remarks, etc) immediately without waiting for the latest MLS update. Add or reorder photos to ensure that you highlight the best photo first. Use the geocode management tool to pinpoint the correct location, for cases where the MLS provided geocode is inaccurate. Add a link to a separate virtual tour and set the window size for the virtual tour embed. 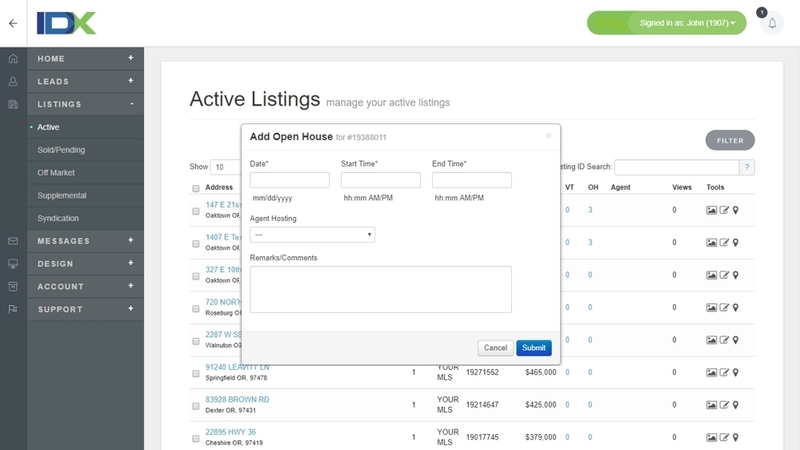 Add an Open House date, along with start and end time, agent hosting, and open house call to action text. Revert instantly to MLS provided data with the click of a button. IDX Broker gives you all the tools you need to ensure that when your seller requests a change, they see that change instantly on your website!